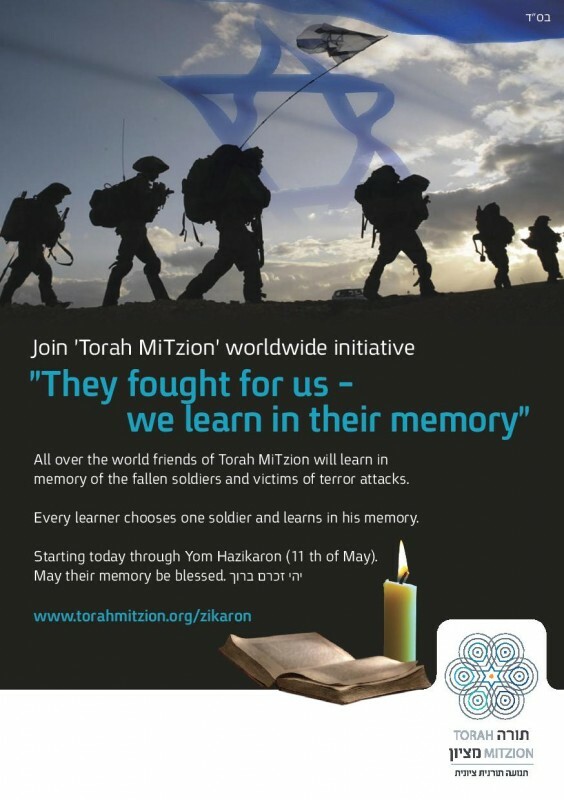 Join our worldwide initiative to learn or pray in the name of fallen soldiers. You will see on the left an English list and on the right a Hebrew list with names of fallen soldiers and civilians of terrorist attacks. By clicking on the name of the soldier you will find details about his life. If you click on the Hebrew names you will need to click on the “דף יזכור” link to get more details about the deceased. Please write your name next to the name(s) of the deceased in whose memory you would like to learn. Please also write what you plan to learn. May our learning be for their Iluy Neshama.